Every person with diabetes is at risk of going blind. The two main causes are proliferative diabetic retinopathy (PDR) and diabetic macular edema (DME). 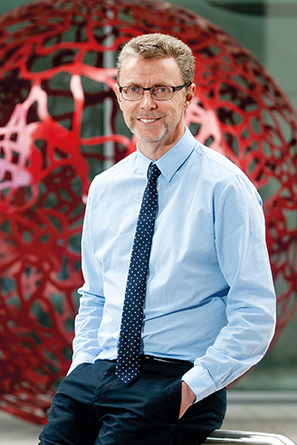 From years of studying the progression of diabetic eye disease, Prof. Alan Stitt points to a need for better therapies compatible with the current standard of care. “I believe Oxurion is well positioned to explore all these pathways and find innovative treatments for diseases affecting the back of the eye,” confirms Prof. Stitt. “The company has a strong strategic focus on the retina and long-standing core expertise in that area. It can screen drugs and look for their efficacy in its established preclinical programs. It also has good experience in clinical development, so it can efficiently move from preclinical evidence into early stage clinical trials. Its in-depth focus enables it to detect the added value and market position of new compounds,” concludes Prof. Stitt.